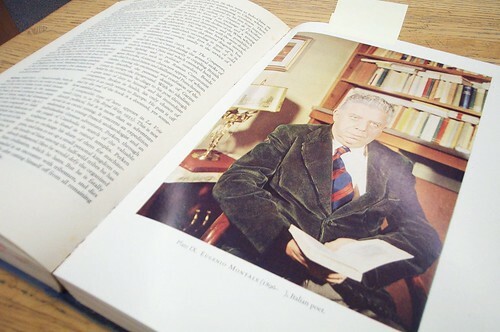 In early 1946, the critic and editor William George Bebbington wrote an article comparing the poetry of the First and Second World Wars: "Of the Moderns Without Contempt" (Poetry Review 37, no. 1 : 17-28). From the Great War, Bebbington chooses as his examples Rupert Brooke's "The Soldier," and "Battery Moving Up to a New Position from Rest Camp: Dawn," by Robert Nichols. For World War II, the selected poems are "A Wartime Dawn," by David Gascoyne, and "Spring 1942," by Roy Fuller. In a recently published correspondence the intelligibility and popularity of modern poetry have been vociferously discussed, and accusations of considerable ferocity have been made. For instance, phrases like "a great sham, a prodigious bubble and a naïve hoax" have been used. The particular writer who expressed this surprising mixture of denunciations spoke simply of "modern poetry," and so far as he is concerned, therefore, all modern poetry is a naïve hoax and every modern poet is a charlatan. It is indeed a sweeping statement, but, to make matters worse, no analysis of how modern poetry is a sham, a bubble and a hoax was offered: the statement stood alone in its thundering glibness. One remembers how Martyn Skinner described "much modern verse": "vomit, nonsense, or mere deep-sea ink." If only this particular writer (or Martyn Skinner) were concerned, however, there would be no cause for any modern poet or any student of poetry to be alarmed. But he is not alone. Unfortunately, there are all too many like him to-day making similarly unsupported and vulgar attacks on modern poetry, and all too many idle readers prepared to enjoy the saucy manner in which their attacks are made, and to accept their crude statements as true. As Henry Reed, a protagonist in the correspondence, observed, such attacks on contemporary poetry are not new: history shows that many an artist's work must wait, often until after his death, for a true public valuation of it. T. S. Eliot's and W. H. Auden's poetry, Louis MacNeice's and C. Day Lewis's, is not inevitably destined to be forgotten merely because it has some noisy enemies to-day; nor does the fact of its present mass unpopularity necessarily mean either that it is not poetry at all or that it will never become widely respected and influential. But let us not ignore present facts. Our modern poets are not popular, any more than our modern musicians or painters; nor are they even politely spoken of by those who do not read themand it is this latter fact which is both new and disturbing. The poet as a species has not often been an object of public esteem simply by virtue of being a poet, but at least he has not been abused and rejected as a madman, a hypocrite or a criminal. The public at large may for most of our history have regarded him as at best a harmless fellow, but still it has, almost instinctively, believed in his integrity and the integrity of those who have been so idle as to read his work. To-day, however, the term "modern poetry" has become synonymous in the public mind with such expressions as meaningless doggerel," "cut-up prose" and "prodigious bubble." 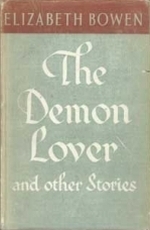 The publisher's blurb is careful to assure us that Julian Symons commands our attention because he is "one of the least obscure of modern poets"; Adam Fox in English (Spring 1943), writes: "the moderns, of whom Mr. Eliot is the leader and main inspiration, are in process of being abandoned even by serious readers of poetry as too unintelligible and only faintly pleasurable"; and even so discreet a poet and critic as Edmund Blunden does not miss the opportunity to stoke up the fire on which the books of the Moderns must be burnt, when in Cricket Country he writes: "but the author had made his meaning sufficiently clear: I trust that this will not be too much against him at the present time." In short, to be a modern poet to-day is to be a literary pariah dog. It cannot be denied that a considerable proportion of modern verse demands of its reader much concentration and re-reading, but no sincere student of the art of poetry would consider such a demand in itself unjust; far poetry is not merely entertainment or even a form of recreation, it is an artand art is not always easy either to create or to appreciate. It cannot be denied also that much modern verse is obscure, but much great poetry of the past is obscure in the sense that its subject-matter is uncommon, its imagery intricate and its vocabulary subtle (the love-poetry of Donne, for example). It cannot be denied that some modern verse is meaningless to a sufficient number of its serious readers to render its publication futile. It cannot be denied that some modern verse is not poetry at all. But to say these things is different from saying that all modern verse is obscure or meaningless or not poetry at all. For it is not the function of the critic to make glib generalisations, but to separate, analytically, the good from the bad, the genuine poem from the false verse or the "cut-up prose." 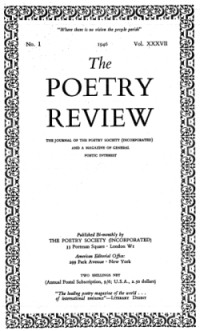 In the correspondence already mentioned, which originated from two articles written by Henry Reed [Poetry in War-Time: "The Older Poets", and "The Younger Poets"] on the subject of contemporary wartime poetry, Alun Lewis and Sidney Keyes, Stephen Spender and David Gascoyne were forced out of the discussion in favour of Rupert Brooke. It was argued that his popularity during the last war and the fact that a few of his lines are often quoted prove that he was a true poet who poetically expressed the general emotion of his day, whereas the modern poets of to-day are unreadable by any but a select few, and even they are as likely as not only pretending to understand. I've found a few tasty morsels on Google Book Search in two publications put out by the Booksellers Association of Great Britain and Ireland, The Publisher and The Bookseller ("The Organ of the Book Trade"). Both the Publisher, and later The Bookseller, listed entries for the week's literary programs on the BBC, so here we find, in this volume from 1947, listings for February 23 at 10:38 pm, "Time for Verse: Compiled by Henry Reed, the poet", and for June 17 at 6:55 pm, "Book Review: Henry Reed on Shelley and Cecil Day Lewis". It says: 'The contributors, who, among many others, include Nevill Coghill, Richard Hogart, Henry Reed, Alan Ross, Stephen Spender, and Philip Toynbee, were asked "to..."' (p. 1642). But the limitations of snippet view do not allow us figure out exactly what these authors were contributing to, or even what they might have in common. Nevill Coghill was a literary scholar known for his modern version of the Canterbury Tales, which was first produced for the BBC; Richard Hoggart was an academician, who was a witness at the Lady Chatterley censorship trial; Reed, Ross, and Spender were, of course, primarily known as poets; and Philip Toynbee was an experimental novelist. What were these writers contributing to, and what was they asked to do? Trying to find a library in the States with a 1960s run of the Bookseller is an exercise in exasperation. 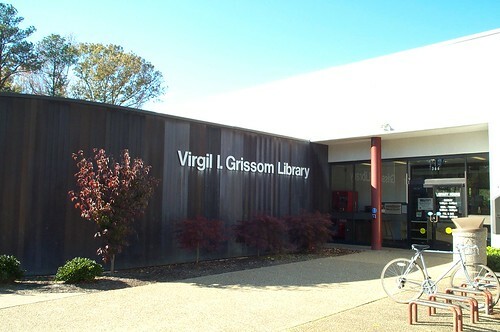 University of Georgia libraries? At least I have the exact date and page number, which means I can try to get a photocopy through interlibrary loan.